Hundreds of players and managers have represented Leicester City over the years. This book hears from a few of the more memorable. Leicester City's Fox fanzine was established in 1987. In its time, the periodical compiled an impressive portfolio of interviews. ‘Can’t Buy That Feeling’ brings the most interesting together in one book. Former City managers, players and staff at Leicester City are among the voices offering behind-the-scenes insight. Leicester are a club who’ve had more than their fair share of ups and downs over the years. From being the team to appear in the most FA Cup Finals without winning the competition (4: 1949,61,63,69) and almost going out of business after relegation from the Premier League in 2002 to going on to beat 5,000/1 odds to win the club’s only top-flight title to date in 2016. ‘Can’t Buy That Feeling’ gives readers and fans a unique way to relive memories: through the eyes of the people involved at the time. All interviews are set out in alphabetical order, starting with Micky Adams all the way through to Alan Young. It's a book you can put aside and pick up again without losing the flow, but does take the reader back and forth through time in a seemingly random manner that can be disorienting. Most interviews are no more than a couple pages, each accompanied by a short bio on the guest, where and when the interview took place and how it came about. That helps the reader get their bearings. Listening to the personalities offers a rare peek inside the club. There are little nuggets of information that can be picked up from the interviews, such as the individual’s relationships with other people around the club. Ex-manager Micky Adams discusses his relationship with former defender Martin Keown in one session. As a fan, it's interesting to learn little things that went on behind the closed doors on Belvoir drive. Taken together, the interviews can draw the reader closer to the club. 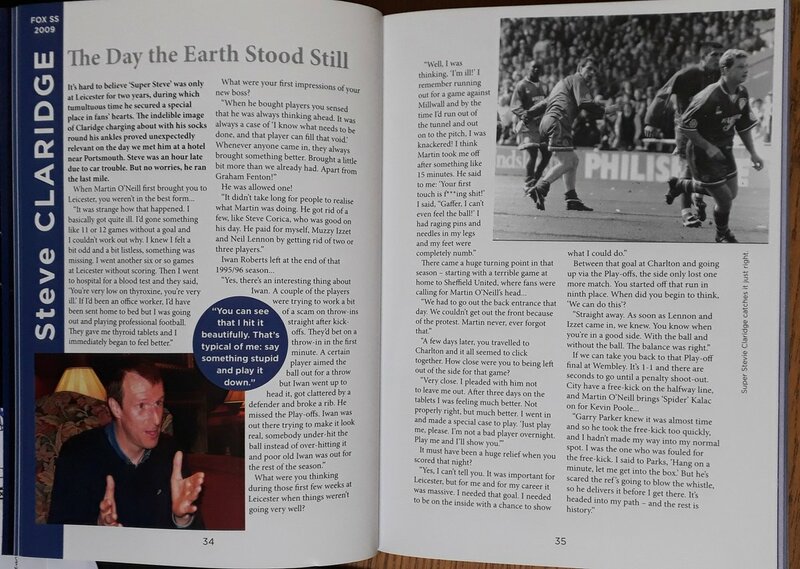 Several interviews allow you to construct a better understanding of major events Leicester City history. Interviews with directors at the time and a few years after the club was saved paint a clearer picture of the club's battle with administration. They reveal just how close Leicester came to dissolving. As a fan who could be considered ‘younger’ [my first game was just before the turn of the century], I learned many things I didn't know about the club. Getting to know people involved in Leicester City before I was even born was an enjoyable experience. On the other hand, I would have loved for the bios on interview subjects to have been more detailed so that I could have better understood their place in the team's history. Footnotes would have been handy, as well. Knowing which match was "last Saturday's game" who played and the outcome would have offered more depth. That said, the fly on the wall feeling is a unique aspect that sets the book apart. Reading players and managers' own accounts allows you to discover more of the characters behind the cliches. 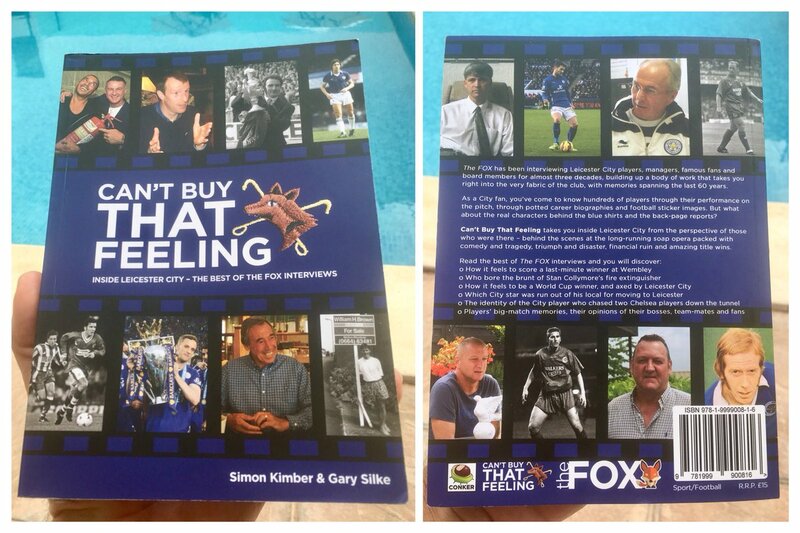 ‘Can’t Buy That Feeling’ is a very enjoyable read, which I would definitely recommend for all Foxes and other football fans, young or old.